Chris Hasselbring has been an active performer and educator in the Chicago area since 1997. After receiving his Bachelor’s Degree in Music (B.M.) from Rutgers University, and his Master’s Degree in Music (M.M.) from Northwestern University (while serving as a member of the Civic Orchestra of Chicago), Chris went on to play principal trumpet with the Bogota Philharmonic Orchestra in Colombia, the Shanghai Symphony Orchestra in China, and the Singapore Symphony Orchestra. In 1996 Chris toured the U.S. as a member of the Dallas Brass before settling down in Evanston to teach as a faculty member at the Music Institute of Chicago (MIC), one of the nation’s premier community-based music schools. 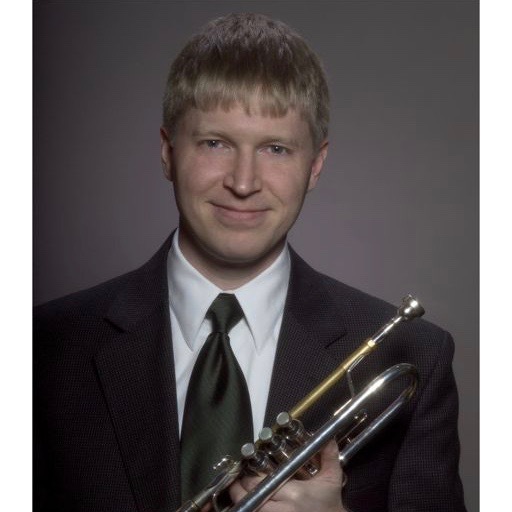 Chris’s keen interest in early music and the natural (Baroque) trumpet lead him to the creation of Brass for Beginners®, the first beginning brass general music core arts curriculum. He is also co-founder of Brass for Beginners LLC, which was formed to make affordable natural trumpets and curriculum commercially available to the general public. As a performer, Chris appears regularly with organizations such as Chicago Philharmonic, Joffrey Ballet, Chicago Bach Project, Camerata Chicago, Apollo Chorus of Chicago, Handel Week in Oak Park, and The Bach Institute at Valparaiso University. Chris has served as a member of and the Lake Forest Symphony since 2005 and the Peninsula Music Festival Orchestra in Door County, WI from 1997-2015.